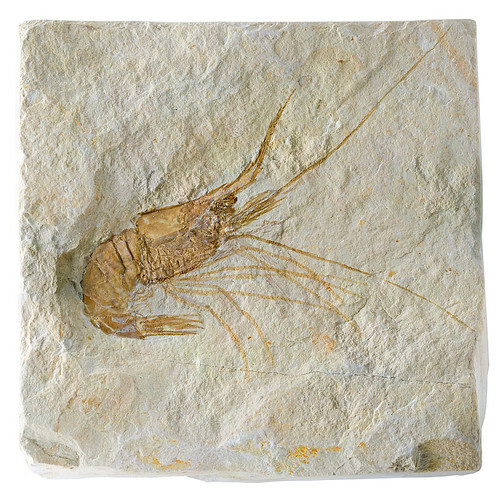 I have on loan from my father, a stunning fossil of a shrimp in sandstone. I thought this would be the pefect subject for a super high resolution macro panorama. Below is a small version of a 225 megapixel image stitched together from over 60 photographs. The original piece of stone with the fossil is about 8cm x 8cm. I am currently looking for the best way to display the full photo at full resolution via some kind of interactive viewer, but I've yet to discover a great viewer that's easy to use and doesn't cost money to host. When I do, I'll update this page with a link to the full version. Thank you for your patience. Canon 350D on tripod. 1/100 sec, f22, ISO800 Tamron 24-134mm @ 135mm with 75mm macro extension. Canon 580EX, 1/16th power, triggered by Cactus V2 wireless remote, camera left. Vivitar 285HV, 1/16th power, triggered by Cactus V2 wireless remote, camera right. Office paper cut in half lengthwise, joined and curled around fossil to act as wrap-around diffuser. The Fossil was on a piece of white card, and was slid around underneath the fixed camera between shots. The desk lamp was used to illuminate the fossil enough to just barely see it through the viewfinder. I did my best to cover the whole fossil with enough overlap for stitching, but there were a few places where I missed which became obvious while stitching, so I had to go back and shoot a few extras to fill the gaps. The images were processed in lightroom with the same settings for all images. Exported to full size jpeg files 95% quality. Loaded into PTGui and control points were automatically generated (Thank goodness for that feature! It would have taken days by hand). Tweaked the auto generated points and stitched the panorama using smartblend to merge them. The stitch and blend took about two hours. Then I cleaned up the resulting image in photoshop and used the Zoomr "Zoomifyer" tool to create the high-res navigable panorama. Welcome to Strobist readers! For those that are interested, you can see more of my photography experiments in the Experiments category. If you like my work, please subscribe to my blog at the top right! I make regular posts with photographic experiments, and I’m planning to write more tutorials in the near future. Nice pano! Have you ever tried to use an inverted lens in front of the regular lens, instead of the extension tube? I made some tests with it the other day (see my flickr page), and found that magnification was awesome, but the working distance was like 3 cm. Would the extension tubes be better for this? Thanks Thiago! I’ve never tried reversing the lens. I suppose it seems to me to be a very tricky and difficult technique. Trying to hold everything in alignment, while pressing the shutter, focusing and trying to keep my own arms from casting a shadow with the flash. I suppose with a filter-body adapter it would make it easier. I couldn’t say if tubes would be better or not, since I haven’t tried reversing. Tubes largely solve the above mentioned problems, but they’re not free :) Incidentally, at 75mm extension, maximum zoom and closest focus, the working distance with my Tamron and extension tubes is also about 3cm.